The Silicon Valley economic miracle has become a housing nightmare. We aren’t building enough housing for all the people who want to live here. As rents and home prices continue to rise, the region’s economic growth, diversity and climate are threatened. San Jose has historically been a top producer of housing for the region, and as the largest city in the Bay Area it has a special responsibility to lead on innovative housing solutions. • Use planning and zoning tools to build 120,000 new housing units — both market-rate and affordable — over the next 30 years. • Find new resources to support affordable housing development. 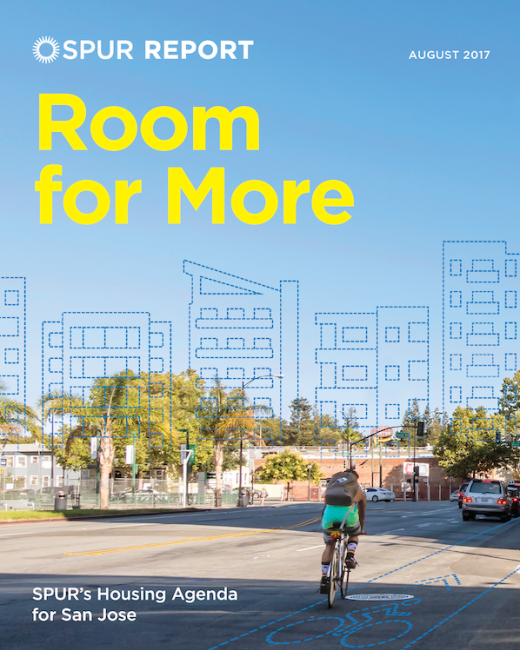 Our report lays out 20 concrete steps that San Jose can take to address the chronic housing shortage, ranging from fixing its planning process to finding more funding for affordable housing. These recommendations can be applied to the many cities in Santa Clara County that must work collectively to increase the supply of housing.